Orchard Country Park is a well-established ‘quiet’ holiday home park in the village of Lucker just outside Bamburgh. The village of Lucker benifits from having a country Pub the Apple Inn as well as the Apple Core, a fantastic Italian Restaurant. As a smaller site we pride ourselves on our unique and personal service that is provided to each and every owner. We guide people who are new to the world of static caravans and lodges to ensure they make the correct choices and we assist well established veterans in upgrading their existing homes. Once you are on-site you can relax and enjoy the peace and tranquillity of our quiet village life. 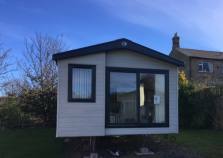 Our caravans and lodges for sale range from entry level to top of the range, fully bespoke units, please click here to see what we currently have on offer. My team and I are here to help, so please get in touch if you have any questions or would like to pay us a visit! Thank you for visiting our website, if you have any questions, please contact us.